Coppell High School junior Johan Pretorius listens to Jason Oswald from the United States Coast Guard about the requirements and opportunities he can earn from this program. Oswald uses a pamphlet to explain these details. 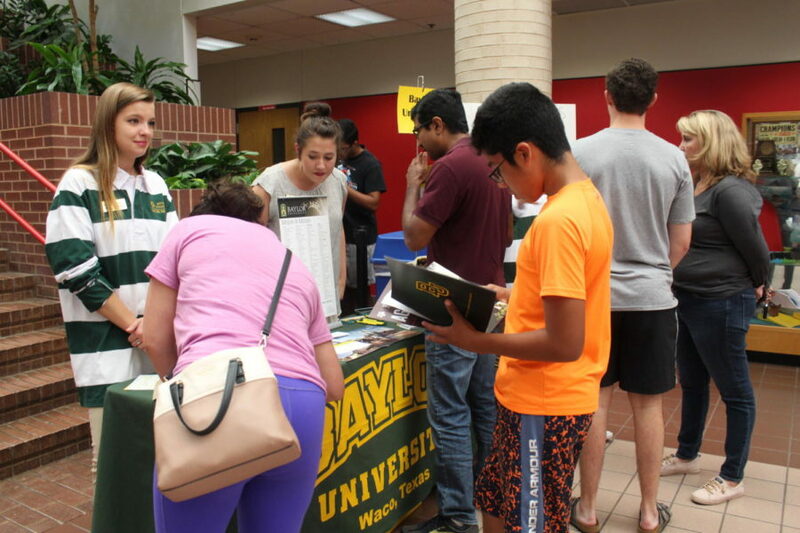 Students and parents associated with Coppell High school gather around the Baylor University booth for College Night. 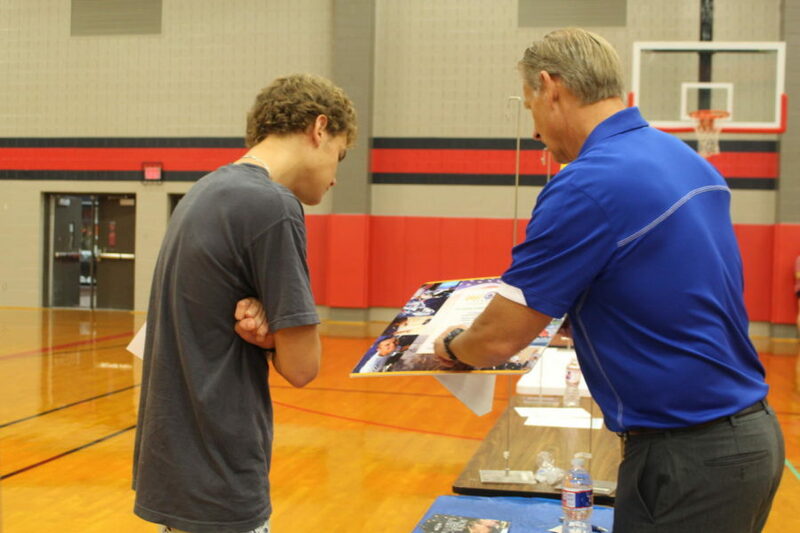 College Night showcases 240 colleges around Texas to come to Coppell High School and represent their college.